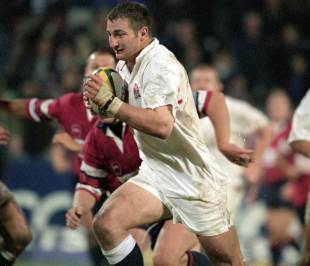 When Steve Borthwick walks out at Twickenham in his typically assured manner on Saturday, it will be a match that brings to an end a 16-year career that saw him go from Preston, to Bath and then Saracens while winning 57 caps for England, of which 21 came as captain. He is one of rugby's great unsung heroes and ESPN has spoken to four figures who have worked with and seen Borthwick rise from a teenager beyond his years to the man who stands on the brink of winning his second Premiership title in four seasons. Borthwick started his rugby education at the Preston Grasshoppers where he was coached by Malcolm Alden, now the club's president. He only played a couple of first XV games for Preston due to school and representative commitments. "I first met him when he was at a school's tournament which we held at the Hoppers which was sponsored by Wilkinson. He injured his ankle and he was limping across the car park with his mum and dad and I thought 'we could do with this lad in my squad'. I hailed him and told his parents to bring him down to the club on the Tuesday so our physios could look at him and he played in my colts squad for two seasons where we also had Paul Sanderson, Alex Sanderson, Iain Balshaw, Will Greenwood and Paul Grayson. "Steve played two seasons with us and he was then picked to go to Australia and New Zealand with the schools. Before he went there, we spent a lot of time working on his skills. As he was a tall lad, he used to go into the tackles sideways so I tried to make him go in straight and when he got it right, I could have read the paper in the air due to the distance he pushed me back. "We only got one full game out of him but then Bath found him a place at the University. He is an unassuming lad, very quiet but he's Jekyll and Hyde on the pitch and turns into this great leader." Borthwick joined Bath in 1998, a team who had just won the Heineken Cup. Matt Perry remembers seeing the young Borthwick and he played alongside the second-row until his retirement in 2007. "He was an intelligent lad. He was before his time, he was only a young lad but right from the outset you could tell he was different. While most 18 or 19-year-olds are just focused on staying fit and taking opportunities, Borthers was very balanced. He was studying the lineout, he was training and he was a professional guy right from the early age of 18. "You could tell he was a natural leader and had all his ducks in line. I was really impressed by him even back then but he was and still is a quiet bloke. When he was coming through into the first-team he established himself as a complete team man. When he eventually went to Saracens,. It was the right decision to move and I went to his testimonial dinner last month and the respect everyone had for him was incredible. You could almost see that Saracens team was built around Borthers." Danny Grewcock formed a solid second-row partnership with Borthwick for both club and country and started alongside him when Bath lifted the Amlin Challenge Cup in 2008. "Borthers is the true professional. He was someone all the players looked to as someone who did all the right things on and off the field. He was definitely the thinking man's player and I think he put a lot of detail and thought into planning his lineout and it worked well for him. He does a lot of analysis work, talks to the coaches and players and the lineout was his area and he set the standard there. Him and Michael Foley used to spend a lot of time going over it and I'm sure that's still the case now. "I played against him when he was at Bath and I was at Saracens. He was a dominant force and even though he was a young lad, he caused me a few problems. He is also a great captain. Borthers computes all the information and makes smart decisions and stays calm throughout. He's very suited to the captaincy and I dare say a lot of success at Saracens is down to his work as a player and his leadership. Everyone who played alongside Borthers will have appreciated everything he did for the team and it was very nice to play in the same team for the number of years we did." In 2008, Borthwick left Bath for Saracens as they underwent a huge restructuring. 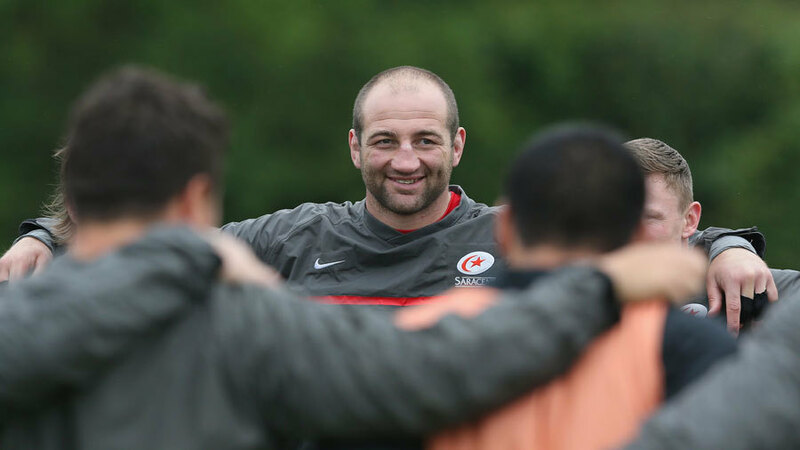 It was Eddie Jones who bought him to the club and he then worked with Brendan Venter and the current coach Mark McCall. During his time there he has seen Saracens reach a Heineken Cup final and three Premiership finales. They have gone from mid-table obscurity to perennial title challengers, much to the delight of owner Nigel Wray. "The thing that has always struck me about him was the extraordinary contrast from the press he received when he captained England in a difficult period and then got dropped or left out to the universal acclaim he gets from every single player from every time as being an outstanding leader and person. The respect from your peers is the most important of the lot, it's from those who are in the arena with you. He's very much his own man. It might surprise people to know he's a very good speaker, in the formal sense. He's a great speaker and communicator. "Eddie Jones, with whom he is going to join up with in Japan, brought him to Saracens and within not too long, Eddie was gone so that must have been a shock for Steve. But he's bought into what I call the Saracens revolution and has been the figurehead for that alongside people like Paul Gustard, Alex Sanderson etc. They're a great group of people. 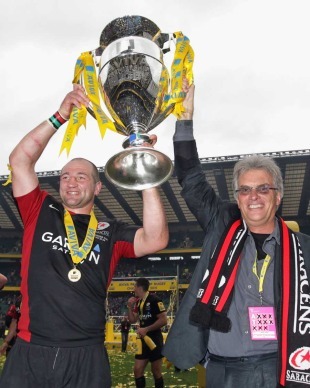 If you ask anybody at Saracens, they will say Steve has been huge in everything we've done. "He's different, he will play through pain. He's had a terrific last five or six years of his career and although he is off to Japan to coach there where I'm in no doubt he will be a success, he will always be a huge part of the club."